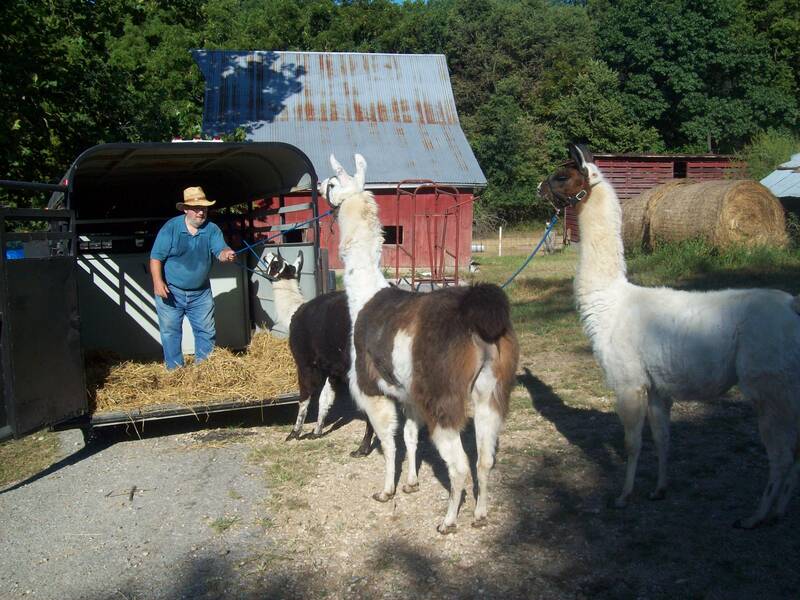 This photo of my husband and a few of his llamas made me think of what happens when I post online. He planned a trip to the Colorado Rockies on which he and some of our adult children would lead the llamas. Highly intelligent and always interested in new things, the llamas would carry light backpacks containing tents and other necessities, and the people would lead them safely along mountain trails. They’d all trek and camp in clear, clean air, alongside gurgling mountain streams, surrounded by breathtaking backdrops. It would be nothing like some had ever experienced before, here in the Midwest. But first, our kids had to meet him in Colorado, and the llamas had to trust him enough to step into his trailer. The kids already knew they could trust their dad to deliver what was promised, and the llamas had no reason not to; but this was all new to them. The first one is strenuously resisting, the others have taken a “wait and see” attitude. My readers have to trust me a little, too–enough to start reading my posts. I don’t get to pull them in with a lead rope–I have to draw them in from the first line, before anyone is “in the trailer” except me, then make sure the “ride” to where we’re going is worth taking, so we can share the experience. That’s the plan!